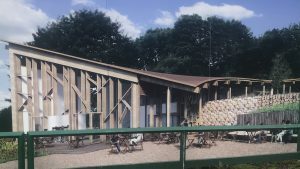 Work on the Brand new visitors centre at Sherwood Forest is well and truly underway. 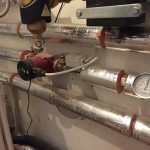 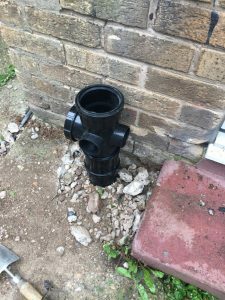 365 Plumbing & Heating will be installing the mechanical elements of the build. 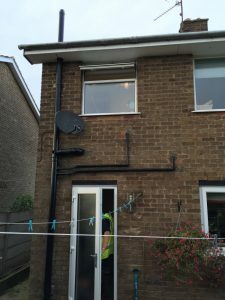 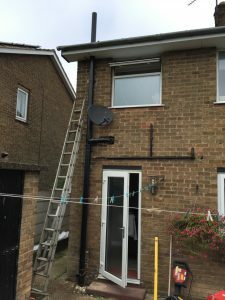 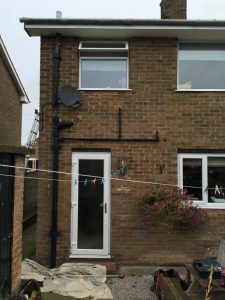 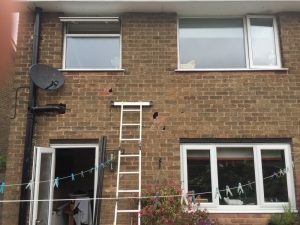 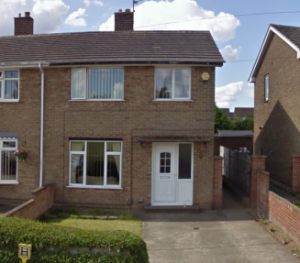 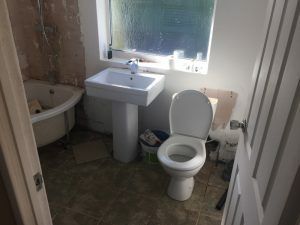 This week we have been busy, fitting a new bathroom and soil stack at a property in Rainworth. 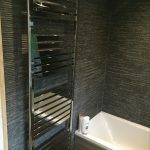 We were asked to supply the entire suite, from our Bathroom makeover range and the customer added extra Units, Designer towel rail and Tiles. 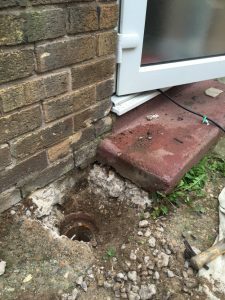 The existing soil stack was in need of replacement and what better time to replace while installing a new bathroom. 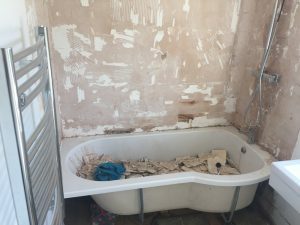 Decommission existing suite and remove tiles and make-good. 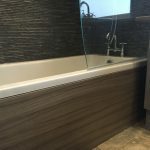 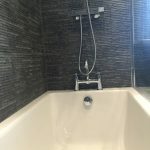 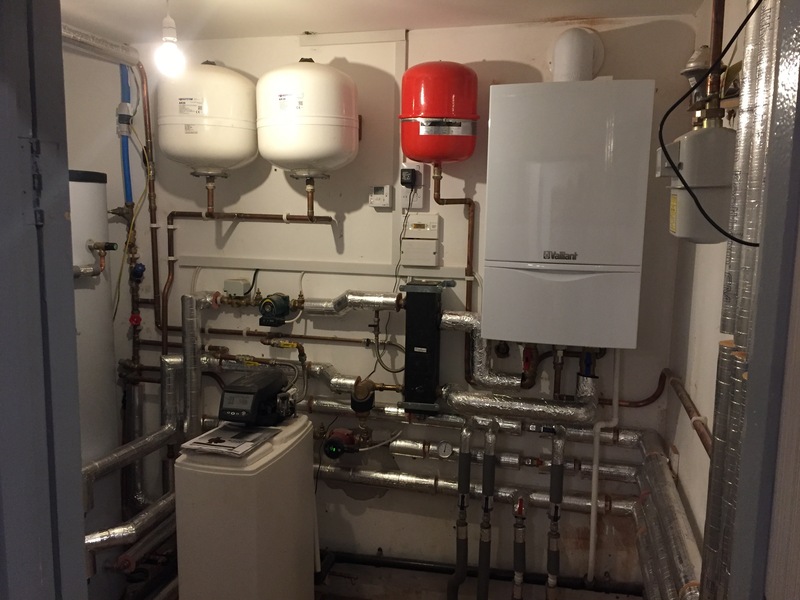 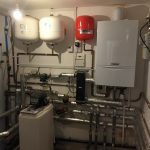 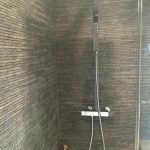 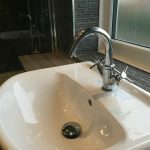 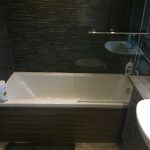 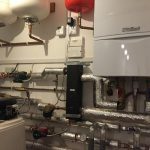 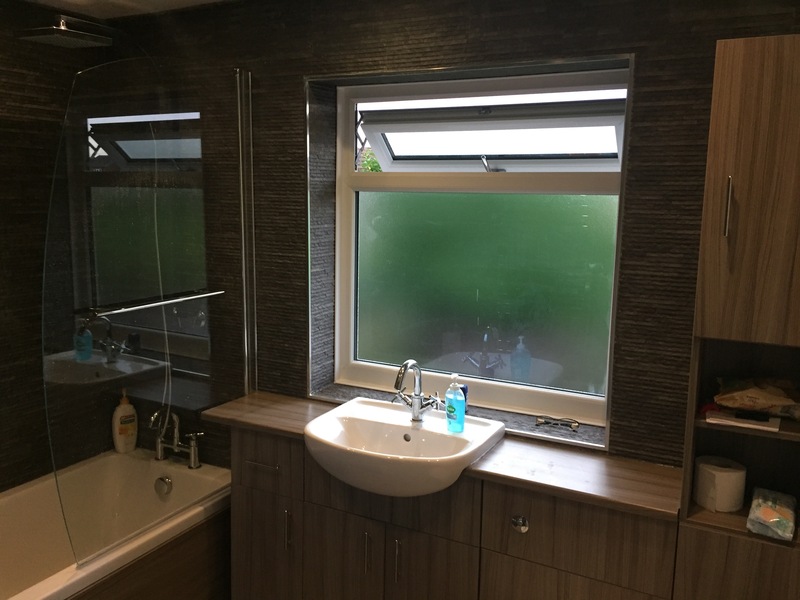 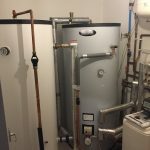 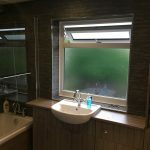 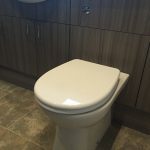 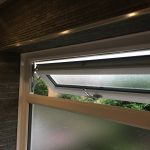 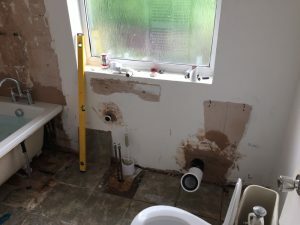 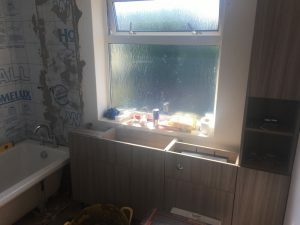 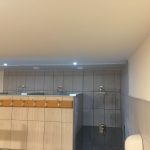 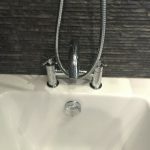 With all Bathroom installations we work with the customer to determine their needs throughout the installation so to cause as little disruption as possible. 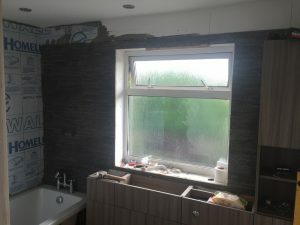 Day 2 included removing the old suite and stripping the bathroom back to plaster. 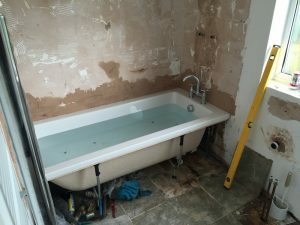 We then installed the new bath and put back the old toilet for the night. 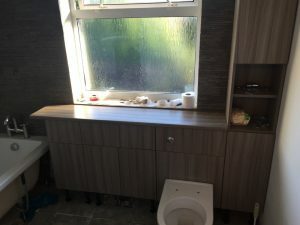 We start by fitting the new vanity unit and base units. 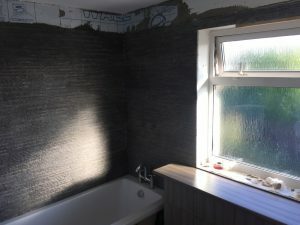 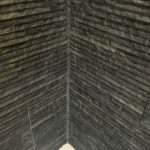 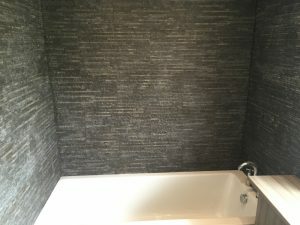 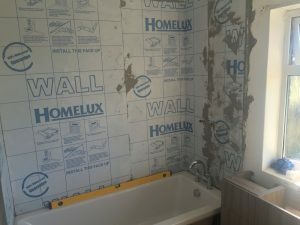 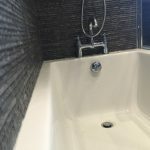 We use Homelux waterproof sheeting behind the stone tiles due to there being no grout line and the customer has a fully tiled bathroom with working Bath and WC ready for the weekend. 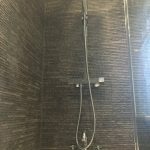 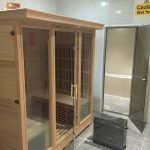 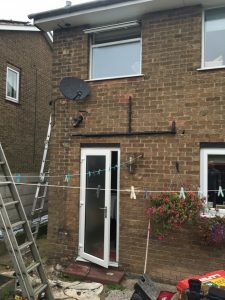 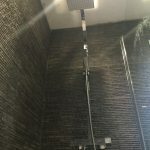 Now that the major works has been completed, all that’s left is to install the new shower and Bath-screen, Hang the new Chrome towel-rail and finish the installation off by siliconing edges to ensure the installation stays in good condition and looks great for years to come! 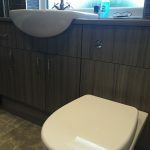 You can get any of these Bathrooms fitted by ourselves for just £2,000+vat!